F & F Mystery School is in full swing! Would you like to join? Apply here. 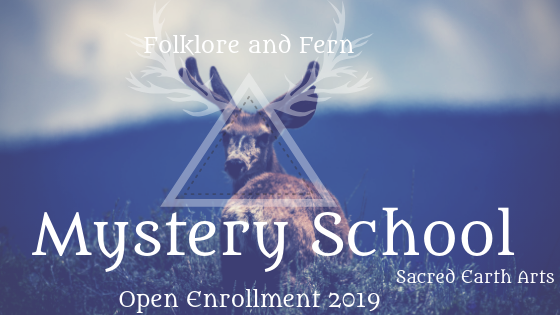 Mystery School Summer Session is Coming! You are invited to step into the healer within you and to take a journey into the mystery. 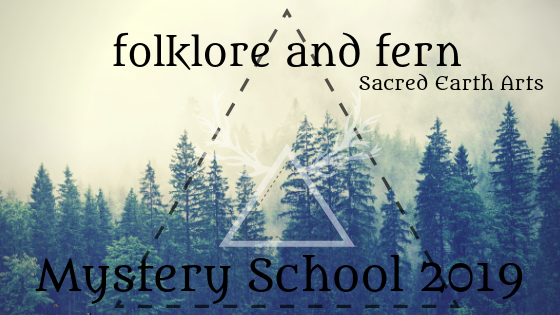 Folklore and Fern Mystery School firmly believes in empowering souls to access their highest potential, through tools for inner connection, strengthening of intuition, nature connection and by developing the skills to access their own inherent health and wisdom. We believe there is a remembering inside each of us that wants to be set free. Access to our wisdom and tools to navigate the seen and unseen worlds help us live richer, more connected and beautiful lives. Our wisdom keepers, the spirits and energies of animals, places and plants near us, want to interact with us and help us know our inner wild places more fully and sacredly. We have much to learn and remember in our interactions with the natural world. Come, let's create rituals and understand our own medicine in order to heal ourselves, our families and the planet. Spring Session begins on Imbolc February 1st, 2019. 11 weeks: Investment $799~Application deadline January 27th. Summer Session begins on Beltane May 1st, 2019. 11 weeks: Investment $799~Application deadline April 27th. Early Bird discount of $100 off tuition. Autumn Session begins on Lughnasadh August 1st, 2019. 13 Weeks: Investment $799~Application deadline and early bird discount deadline July 19th. Early Bird discount of $100 off tuition. **Once you have been accepted to one session you may continue into the next session without applying again. Limited Scholarships available please Inquire. Want to join with a friend? Ask about our special discount. Click HERE to see curriculum and sign up for the Free Trial. All great journeys begin with a calling, a decision and then the movement forward. There is an ache, an internal pull that says, "I want to be a part of that!" We gather our resources, lay out the map, prepare our loved ones and then set out on the road ahead. Welcome to the Summer Session! We begin the Summer Session with May and Beltane, a festival linked to the profound fertility of the land and the awakening aliveness in humans, animals, birds, insects and all other beings and plants. As the months of summer warm, our access to the vast night sky becomes ever more available. It is warmer and we are up later and the vast star and moon filled heavens swirl above us. It is time to play, frolic, learn, investigate, adventure, open, dream, experiment, lounge, listen and invite new ways of being into our world. Summer is a time when we have the greatest access to fresh plants and vegetables and lots of daylight to explore in. We begin our adventure at Beltane, with the wild winds of spring ushering us into the bright days of early summer, we travel into nature divination and the mysterious lands of dreams and oracles, we continue our travels through mid summer magic and some ways to do healing on ourselves and others. Finally, we will wrap up with some essential herbal first aid and take a break for frolic, fun, integration and time to catch up. The time is ripe for adventures with beauty. Come, let's journey now, on the well worn path we have created, let's gather our tools and medicine kits and begin our healing and wisdom studies with joy and delight as we wrap the ever-Mystery all around us. ​11 weeks of magic and mystery, joy and learning, connection and manifestation, transformation and delight, rituals and meditation, beauty and sacred awareness. Early bird discount of $100 off tuition if you apply and join by April 27th, 2019. Questions? Please fill out the form below and I will get back to you.